The amount of headphone use has increased dramatically over the last 20 years. Most people can’t go a single day without using headphones.This is especially prominent with the younger generation who require a specific set of headphones for their favorite music. I put together this Top 10 latest headphones you should know about to help you find the right headphones for you. The new generation is consuming music and entertainment much more than the older generation due to modern technology in music sharing and change in lifestyle. Most music lovers are very particular about the kind of headphones they use and will always go for the best quality that their money can buy. Generally, headphone are something you just can’t live without nowadays. Whether you are a professional deejay, a radio presenter, music producer, sound engineer, or anyone looking to keep yourself entertained and motivated as you go about your activities, a good quality pair of headphones can do the trick. It will take you from your bed to your morning workouts, to the office, through coffee, lunch breaks and back home to your favorite couch without missing a beat. When it comes to choosing headphones, there are almost as many preferences to choose from as there are music genres. Some people like the convenience of wireless connectivity via Bluetooth, while others prefer the audio quality and reliability of the wired options. Some want the comfort of over-ears headphones while others the portability of in-ears. (Ear Bus) Upgrading your headphones is often a personal decision, but it’s an important step if you want to bring a new dimension to your music regarding sound quality and clarity. Searching for the best headphones online can sometimes be an excruciating exercise. Luckily for you, we have already scoured the internet, selected the 10 latest headphones you should know about. Headphones for athletes and just regular people too. 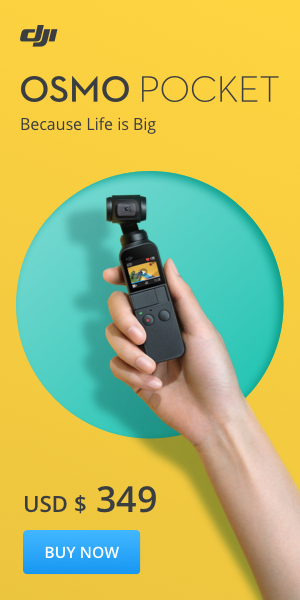 We’ve also considered all the important factors such as sound quality, noise cancellation, extra functionality, form, design, connectivity, and budget. So no matter your preference or budget, you should be able to find an excellent pair of headphones to fit your personality and lifestyle. The QuietComfort product series by Bose is the gold standard for noise-canceling headphones, and its latest iteration is finally wireless. The QuietComfort 35 over-ear headphones feature a superb fit, sleek design, long battery life, the best noise cancellation in the business, and a finely tuned sound signature that makes them suitable for any type of content. Yes, they are a bit pricey, but they're also among the best of their kind. Bose QuietComfort 35 is what you get when you combine an extremely comfortable fold-up headphone design with the best-in-class active-noise canceling technology. 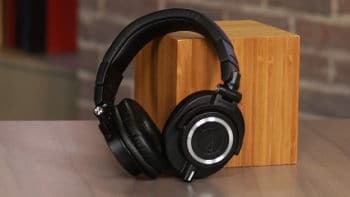 The latest release is an over-the-ear headphone with plenty of new features and functionality, but perhaps the most notable feature here is the wireless connectivity. This high-end model replaced the much loved but wired Bose QuietComfort 25 at the top of the company's range. It’s also the first in the series to be wireless. The headphone weighs about 235g and looks much like the QuietComfort 25. The QC35, however, offers 12 separate steps to provide maximum comfort and allows the ear cups to rotate up to 90 degrees one way. It also features a Bluetooth toggle on the power switch and three other buttons to tweak the volume, playback, and answer calls. The oval shaped ear cup design is also much more fitting to the ears and offers heightened level of comfort compared to the fully rounded ear cups. Aside from the design, the Bluetooth technology allows the QC35 to connect to two other devices simultaneously via NFC. The led indicator shows you how much juice is left. And its battery can last up to 20 hours on a single charge. If your battery runs out, no problem; simply turn your headphone into wired mode by plugging in the 47-inch audio cable provided. Charging is done via the micro USB connection, and the cable is also provided. 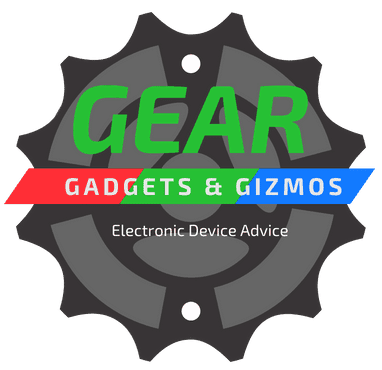 There is also a Smartphone app for this headphone that allows you to keep an eye on the battery, manage device connections and update its firmware. 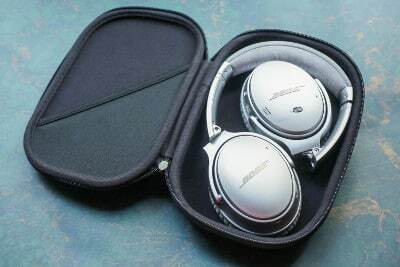 If you are looking for an industry leading noise-cancellation technology, clear and broad soundstage and super quality sound, then Bose Quite Comfort Wireless Headphones might just be what you are looking. You can instantly feel the fine quality of this pair of headphones the moment you open the box. The headphones a great look and feel, with memory foam ear cushions and sturdy but manageable headband. They are finally encased in genuine leather with only a hint of hardware exposed. The most notable feature about the Bowers & Wilkins P7 Wireless is the sound quality. This pair simply has no compromise; it nails both the lows and highs across all genres with expertise. The P7 is not specifically designed for noise-cancellation; however, they do a good job of reducing the noise passively. 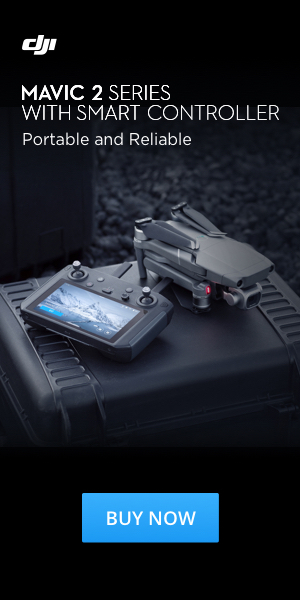 The battery lasts an impressive 17 hours of continuous use and fully recharges within minutes. If you are a fan of bass-heavy music genres, you will notice some great sound quality. The Bluetooth connectivity of the headset is controlled via the power button; simply slide it across to turn it on and off, and press it inwards to make your headphones discoverable to new devices. The volume control and playback button are located on the right ear pad. The middle button can be used to play and pause any media via Apple Music, Amazon Prime and Netflix Video across laptops, tablets, and Smartphones. The headphones fold up to fit into a half-moon shaped carrying case which helps reduces the carrying case to a more convenient size. Great quality earphones should be able to point your attention towards new details in a song, and sure enough, the P7 does that with amazing precision even with the tracks you’ve already listened to over and over before. The deep bass is pretty generous but still, keeps your sound tuneful and taut. If you need an option to connect to your headset to your device, simply plug in the supplied lead. As you would expect, the result of the wired option is improved detail and transparency. 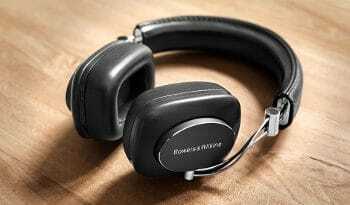 https://geargadgetsandgizmos.com/bowers-wilkins-p7-wireless-headphone-review/The Bowers & Wilkins P7 clearly sets high standards for other competitors in the same price range. The company has done a commendable job of building an excellent pair of headphones with a stylish design, high-quality sound, and user-friendly Bluetooth controls. The Sony MDR-1000x is another high-end noise-cancelling headphone that has strongly penetrated the wireless headphone market. The noise-cancelling capability is excellent; it allows you to pick out the fine details of a song even when commuting on a noisy train or walking down a busy street during rush hour. 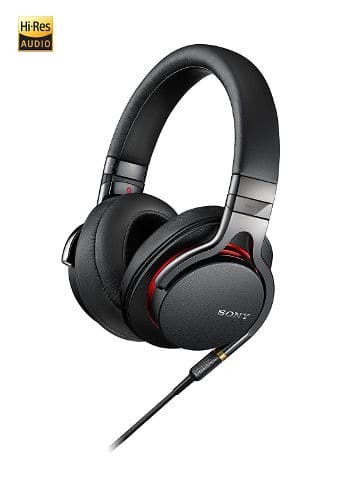 The headphones have a characteristic Sony house sound; rich, thick, warm and powerful, with impressive details in both the highs and the lows. Unlike most wireless headphones, this headset has much clearer and more natural mids and highs. The soundstage is lush and wide as you would expect from most Sony headphones. The1000X is relaxed, plush, balances well on the head and is wearable for hours. The medium heavy 275g weight is conveniently distributed to the ear cups and the plush headband. The clamp is tight enough to hold them in place and remind you that you are wearing headphones, but not too tight as to cause fatigue. The pads get a little warm after hours of use but do not leave you sweaty and uncomfortably hot. The pads have a ring of memory foam around the inner cup lining which makes them relaxingly comfortable. The Sony MDR-1000X’s design is nearly as identical to Sony’s 100AAP, but with more premium material and a sleeker look. The headphone features touch controls on the right ear cup which you can use for volume control, pause, play, and skip tracks. There is also some good effort by Sony to make compressed music sound better via the S-Master HX amp. Pairing the 1000X is quick and easy, either through the standard Bluetooth menu of your device or NFC. The wireless is as solid as what you can expect from a modern Bluetooth device; you can still clearly tune into your device three rooms away. Battery life is around 20 hours depending on the features you are using and volume. The quality of microphone calls is excellent. The closest competitor to the Sony MDR-1000X is the Bose QC35s. But when using high-end codecs such as LDAC, AAC, and aptX the MDR-1000X sounds much better than the QC35s. The Technica ATH-M50x replaces the now retired ATH-M50, with the same classic blueprint but with a few tweaks here and there. Since its release, the responses have been great, and regular consumers, as well as audiophile community, have fallen in love with it. This headset offers a sound profile that lends itself well to both listening and mixing, for this reason, it appeals to commuters and DJs alike. The ATH-M50x adopts the best elements from the 70s and 80s while keeping a modern look. 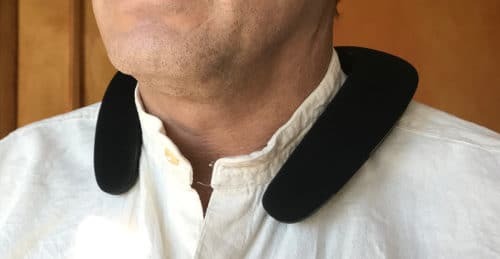 The ear pads are made of soft leatherette, while the cable is coiled which stretches and contracts to allow you to move around with the media device in once place. This is a useful feature when you are in the office or in the studio and need to move around a little. The headset also comes with two more straight audio cables measuring 3m and 1.2m. Both musicians and commuters will appreciate the ability of the M50x to fold into itself for easy storage and travel. This feature makes them more durable as the ear cups are not left hanging and vulnerable to snapping. And if you wear headphones with glasses, you can simply swap out the leatherette pads for better comfort. High-end enthusiasts will also love the superb sound quality that this piece offers. Not only is it easy to equalize your music, but you also don’t experience issues of bass notes being muddled. The Technica ATH-M50x provides a more clinically accurate and better sound across a wide range of genres. If you are sitting at your office desk, you probably just want some quality headphones that will block out the office chattering and provide quality sound rather than a booming bass. And the ATH-M50x doesn’t disappoint. While most headphones tend to experience distortions such as clipping off parts of some music notes, especially the bass notes, this M50x does a great job at keeping this to the minimum. What this means is that you will not hear any distortion that isn't already part of the recorded track. Anyone looking for a classical design coupled with great sound quality and extremely effective noise canceling should try out the Audio Technica ATH-M50x. The Beats X squarely targets iPhone owners. The Apple W1 chip is what makes this headset sleeker than your average Bluetooth headphone. The Bluetooth connectivity performance is flawless, whether you’re connecting it to an iPhone or Android equivalent. The initial Beats’ headphone design used to be all about aggressive curves and lines recognizable from a distance, but all that has now changed. The Beats X still follows the general outline, but are intensely clean and simple. Light, slim and simple, the Beats X are easy to wear and extremely comfortable. The three-button remote is located on the cable rather than the neckband, while the band itself sits well around the neck. Like most streetwise minimalistic wireless earphones, the Beats X’s earpieces have magnets on the back of each piece, which allows you to stick them together when not in use. If you intend to be using them primarily for sports purpose, you have optional silicone wings that attach to the earpiece to make them a bit more stable. You also get four sizes of ear tips to ensure that you get your exact fit. The highlight of this exceptional work is the Apple W1 chip, which is only found in Apple AirPods and few other beats. The W1 chipset allows it to identify and quickly connect to an iPhone as well as other Android devices. The battery life of the Beats X is quite impressive too, promising up to 10 hours between charges. When it comes to sound quality, the Beat X doesn’t struggle to sound fun and enjoyable. The Beat X sound is chunky and full, and its bass has enough power but doesn’t feel overblown. The noise isolation is also really remarkable, which means you don’t have to keep adjusting the volume to compensate for the surrounding noises. If you listen to any beat-based music, you will instantly notice the energy and rhythm in the delivery. It turns out these little beats make an excellent choice for anyone around the office or those looking for low profile headphones without compromising sound quality. The Sennheiser Momentum Wireless might look a little pricey, but that is fully compensated via its fine premium qualities. They are a hardworking and comfortable set of headphones with the durability that will last for years. The headband is sandwiched between different textures of leather for comfort while the stainless steel arms attached to the headband offering stability and stylish fold-up action. The collapsible sliders are durable and have the flexibility to bend, which enables them to achieve a perfect fit. The closed-back ear cups are attached to the steel rails with a ball that offers a good amount of movement. The ball joint ear cups steadily and comfortably wraps around your ears. The build quality and feel of this headset give a great impression before you even turn them on. The leather-covered memory foam ear pads are impressively comfortable, and you can keep them on all day thanks to their lightweight build. When it comes to sound quality, I guarantee you will love the noise cancellation performance. It uses the Sennheiser’s proprietary NoiseGard technology which does a really impressive job of dulling the noise in the world around you. Listening to music through Sennheiser Momentum Wireless is a glee-inducing experience. The highs and mids are pitch-perfect while the bass is articulate, punchy and never overbearing. There is also a helpful vocal assistant that chimes in to notify you of the Bluetooth connectivity status. The battery life is a remarkable 22 hours of industry-leading performance after a 3-hour charge. If you drain your charge, you can simply connect the Sennheiser Momentum Wireless to your device using the provided audio cable. The power button also acts as a pairing device with the ability to remember up to 8 different devices. Generally speaking, Sennheiser has done a great job at making this pair of headphones hugely likeable, endlessly listenable and better than ever than ever before. Sony’s latest addition to the MDR series is a creative work of design, exceedingly comfortable with a polished look that allows them to sit comfortably in the premium range. They are also incredibly lightweight and sturdy with ample budding on their ear cups. 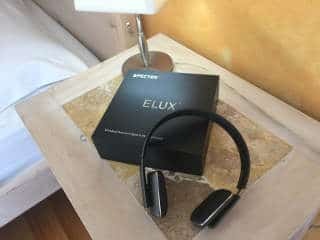 They do not have Bluetooth connectivity or active noise cancellation, but their performance is exceptional. They have a powerful punch of bass that is well balanced with crisp high-mids. One of the things you will instantly notice when you lay your hands on the Sony MDR-1A is the simple and beautifully executed headphone frames and the exceedingly cushioned ear pads and headband. The headsets come in silver with brown leather or black with red metallic highlights, with a sturdy and seamless construction. The ear pads swivel into position, and the headband allows you to adjust the ear cups to ensure a symmetrical, proper fit. The headphone comes with two detachable cables, one with a multipurpose button and a mic while the second cable doesn’t have a mic and controls. The cable connection point is located on the left ear cup and looks like a mini pipeline delivering audio through the MDR-1A inline. The sound quality of the MDR-1A is crisp clear and well balanced. Even at the forbiddingly high volumes, the headphones don’t distort the sound quality, and the moderate-loud volumes still give a powerful bass. The closed-back design helps the MDR-1A to isolate the listener from the surrounding passively. They have a well-balanced frequency response that packs enough bass without drowning the vocals and instruments on any track. The Sony MDR-1A is excellent for most use cases, and it does an extra job for critical listening. It delivers a comfortable listening experience in a lightweight design that's not too leaky at higher volumes. The isolation is also impressive, and they let you immerse yourself deeply in the details of your tracks. Those looking for fashionable designs will also appreciate the beautiful frames and extremely comfortable ear pads and headbands. Bose SoundSport Wireless box comes with the headphones, a micro USB charging cable, a small carrying case with a carabiner clip, two different sized sets of StayHear+ tips and a user manual. They are the traditional wireless in-ear headphones with a neckband cable that houses the remote. The remote down the cable barely weighs anything, which is great as nothing will be dragging the cable down. The rubber hooks trace the lines of your ear making it fit and secure enough for going to the gym or running. Even if you are not sporty, the hooks are still important because the Bose SoundSport Wireless earpieces are pretty large, after all, the Bluetooth stuff and the batteries had to go somewhere. The Bose SoundSport Wirelesses are also sweat resistant meaning they can handle splashes and sweat better than normal earphones. The Bose SoundSport Wireless battery is pretty small, but it promises up to 6 hours of constant playback. It might not sound like much, but in real world usage, you will rarely be listening to music for over six hours nonstop, so it will comfortably last for an entire workout session or commute. Like most earphones, there is a socket to use when the battery runs out. NFC is a great bonus feature that allows you to connect an android device with the headsets easily. 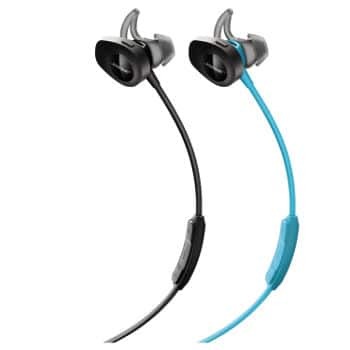 The Bose SoundSport Wireless’ Bluetooth connectivity is quite impressive; it can maintain a stable connection in an office or train full of mobile phones without losing the wireless integrity. The pairing and powering button are on the right earpiece, but the remote and mic remain on the neckband. The Bose SoundSport Wireless sound is perfect with a powerful, punchy bass that will have you running faster to catch up with those beats. It’s not the sloppy, soupy kind of bass that spoils the rhythmic impact of a track either. Boss managed to craft a sound signature with good detail, nor harshness and focus on a particular frequency that might turn off most critical listeners. The best part is it doesn’t come at a price that slaps you around the face. Elux Sports wireless headsets are water resistant premium over the ear headphones designed for active users. 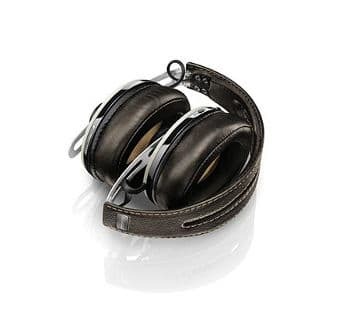 They feature the latest CSR chip and CVC noise cancellation technology to offer you the best sound quality. The packaging and the design are sleek and quite impressive too. The ELUX headphones utilize Bluetooth 4.1 with a connectivity of up to 33 feet. They were primarily designed for sports use, and as such, they can withstand heavy use and are splash and sweat resistant. Setting them up is pretty easy, just plug in the USB cord provided for charging and you should be sampling them in no time. All the buttons are located on the right earpiece with a multifunction button for powering, connectivity and volume. The buttons offer sufficient simplicity that any sports enthusiast will appreciate. You will, however, need to remember a few things like navigating through your playlist and answering calls while on the go. But once you get used to them, it will be easier to perform the essential functions while on the run. The comfort of the Elux headphones is excellent. I was a little concerned from their website photos how comfortable they would be, but after putting them on and wearing them they proved to be quite comfortable, and with minimum ear coverage your ears don't get as warm as most over ear headphones. The ELUX wireless sports headphones are a nice choice for premium-grade headphones at a moderate price. They are Ideal for headphones for athletes, or for anyone who just needs a great pair of high-quality headphones. Sure, I’ve used headphones with similar sound quality as the Elux, but these often come at a price double or even triple what you will pay for the Elux. The Skullcandy Crusher Bluetooth Wireless Headphone is available in matte black and offers an exceptionally comfortable fit with well-cushioned and memory foam ear pads. The ear cups completely envelop the ear to offer a moderate level of passive noise isolation. It’s enough to keep off surrounding office chatter or tamp down the train ambient noise. The crusher comes with three buttons on the right ear cup. The central multifunction power button handles Bluetooth pairing, playback and call management. The plus and minus buttons handle both track navigation and volume. The left side ear cup features a 3.5mm connection for wired listening and a micro USB port for charging. The micro USB charging cable and a flat 3.5mm audio cable for wired listening are also provided. The supplied audio cable features an in-line remote with a single multifunction button for playback, call management and track navigation using a series of clicks. There is also an adjustable bass slider on the left ear cup for your convenience. Skullcandy promises a battery life of up to 40 hours, but this will vary depending on your bass levels, volume and how you mix wired versus wireless playback. If you connect the audio cable, you headphones will automatically power down, but you will still be left with the bass slider function. The Skullcandy Crusher Bluetooth Wireless Headphone is a bass monster. But one of the features that stands out is the ability to adjust the base to your perfect balance. All you need is to find the ideal point by sliding the bass slider up and down, although chances are you will not go past the halfway mark after your first attempt. Turning the slider all the way up for songs that have incredible bass may give some ridiculous results. You will feel the throbbing and hear more of the bass than quality sound. They do not have noise cancellation but rather an impressive level of noise isolation. 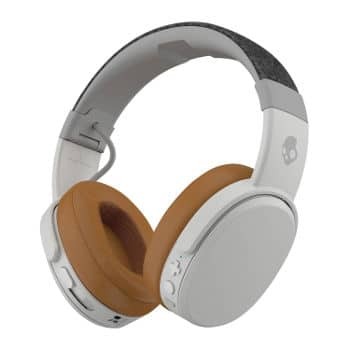 The Skullcandy Crusher is also easy to pair once connected, and the Bluetooth connection remains strong. And if your battery runs out of juice, you can just plug in the provided cable into a 3.5 mm headphone jack and continue enjoying your music. As you would expect, the sound quality is better through the wired connection. The Crusher Wireless headphones will appeal to any bass lovers, while still giving the modest guys an option to turn the base down or even of using the bass slider. The price range is also just about right for this kind of over the ear headphones, and anyone who takes their music seriously will feel at home with it. As you can see, I have tried to stay true to my promise as much as possible by including a wide variety of headphones with different designs, useful functionalities, and price ranges. So if you are bothered about noise canceling, for instance, the Bose QuietComfort 35 should be good for you. For audiophiles and critical listeners, the Bowers & Wilkins P7 Wireless should do the trick, while the budget conscious users will appreciate Elux Sports Headphone’s modest pricing. We're constantly reviewing new wireless headphones, and you should check back for updates. Also, if you find other headphones that you really like or just curious about, just let us know and will have a close look at them. A new option available is the new the JBL Soundgear Wearable speaker.